Nearly 300 local and foreign companies, from 28 countries, are participating at the Second International Convention and Fair of the Cuban Industry, which opened Monday in Havana. 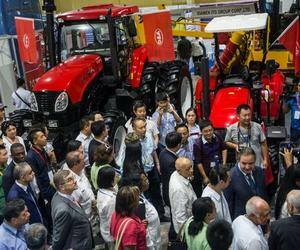 The fair is displaying a large exhibit of technology, equipment and components used in the industrial sector. The largest represented countries are China, Spain and Russia, according to organizing committee member Carlos Alberto Gomez. Some of the sectors at the fair include electronics, renewable energy, cooling systems, home-building systems, agriculture among others. The United States will also be represented at the fair, running till June 24 at Havana´s Pabexpo exhibit ground. Adriana Barceló, managing director of Technology Management of the Ministry of Industry and vice-president of the meeting’s organizing committee told reporters along with the fair the convention will include meetings with visiting entrepreneurs aimed at reaching possible cooperation accords. Representatives of the US Hispanic Chamber of Commerce will also be visiting to explore the Cuban market.